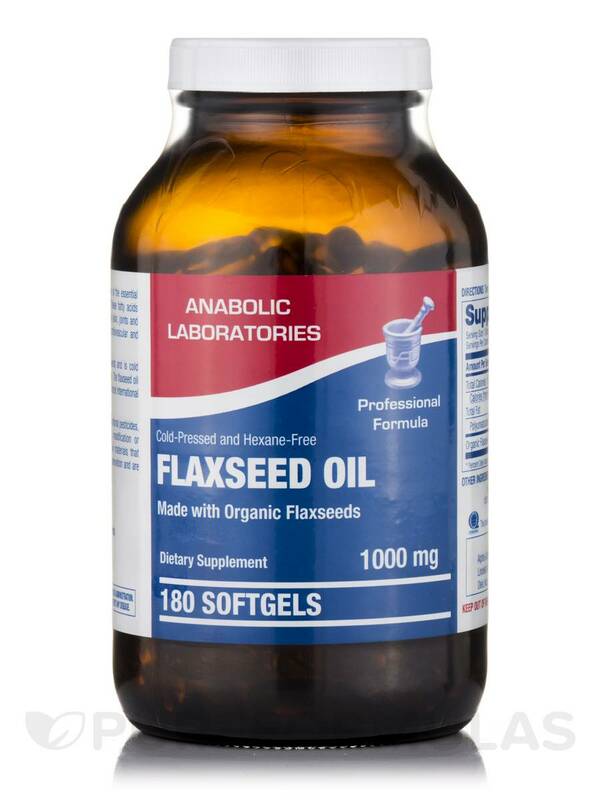 Flax Seed Oil 1000 mg by Anabolic Laboratories is a good source of flax‚ which might work to maintain general health. Specifically‚ flax seeds provide alpha-linolenic acid (ALA)‚ which is an omega-3 fatty acid. Like other omega-3 fatty acids‚ ALA could potentially have a gentle anti-inflammatory effect. 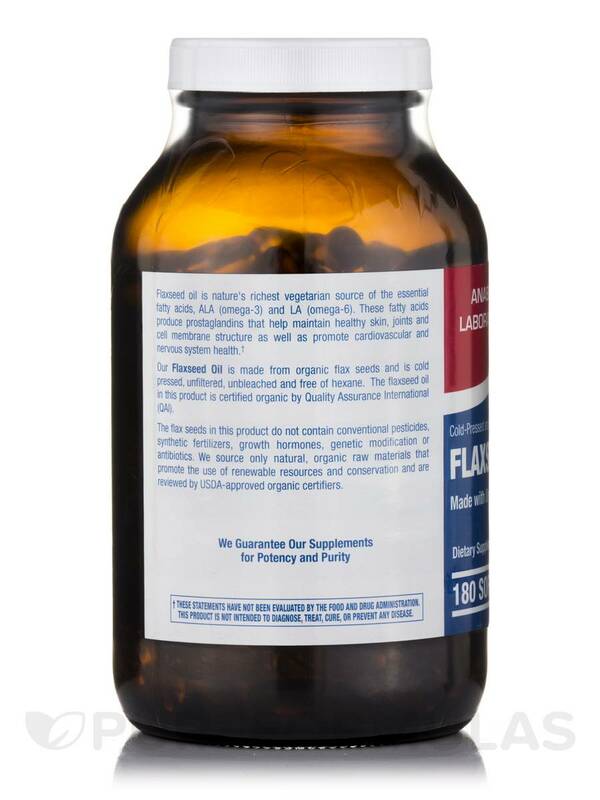 As a result‚ a supplement like Flax Seed Oil 1000 mg may help address certain symptoms associated with mild inflammatory bowel disease (IBD) as well as minor joint pain or stiffness. 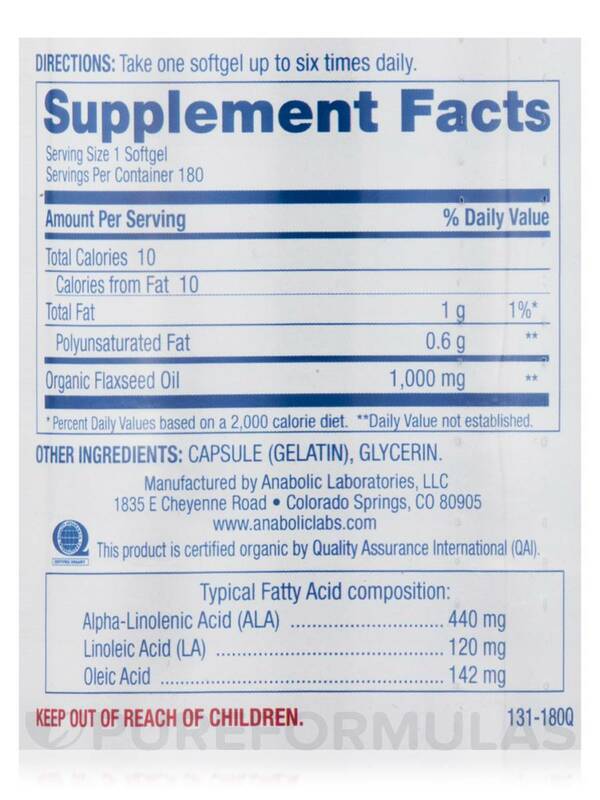 In addition‚ alpha-linolenic acid may offer support for optimal cardiovascular function; for example‚ it could potentially work to maintain already healthy cholesterol levels. 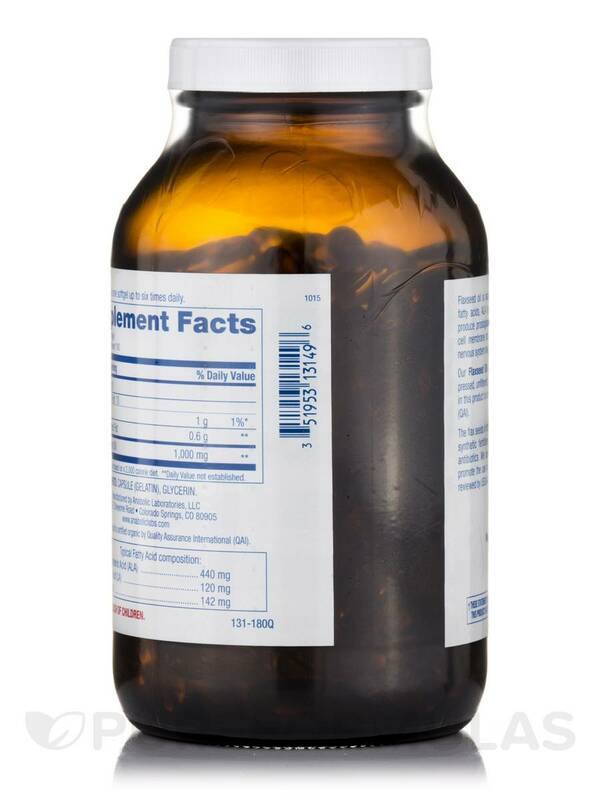 provides 580 milligrams of alpha-linolenic acid. Notably‚ this Anabolic Laboratories supplement is manufactured with organic‚ Canadian-grown flax seed oil. Take one softgel capsule up to six times a day. At the recommended serving size‚ each 180-softgel bottle of Anabolic Laboratories’ Flax Seed Oil 1000 mg should last for at least one month. *Percent Daily Values based on a 2‚000 calorie diet. Other Ingredients: Capsule (gelatin)‚ glycerin. 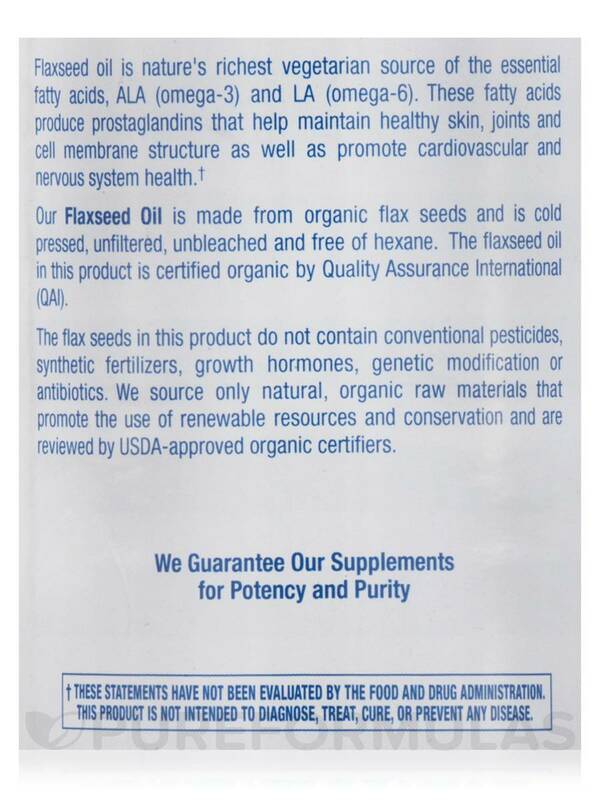 This Flaxseed Oil is made from organic flax seeds and is cold pressed‚ unfiltered‚ unbleached and free of hexane. The flaxseed oil in this product is certified organic by Quality Assurance International (QAI). The flax seeds in this product do not contain conventional pesticides‚ synthetic fertilizers‚ growth hormones‚ genetic modification or antibiotics. Take one softgel up to six times daily.